Unfinished Personalized Easter Door Decor ONLY $20 SHIPPED! 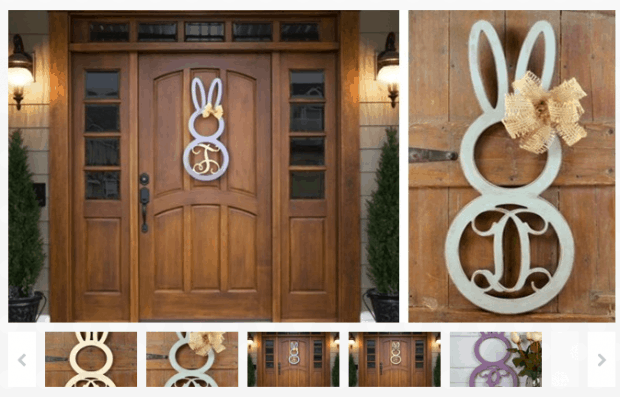 You are here: Home / Great Deals / Unfinished Personalized Easter Door Decor ONLY $20 SHIPPED! I know Easter is about two months way, but I just LOVE this cute Unfinished Personalized Easter Door Decor Piece, especially since it’s ONLY $20 SHIPPED right now! They are perfect for painting, staining or even to decoupage. Give your bunny some personality with a little bow or scarf!